Although Qigong can be learned from books combined with videos or videos alone, Tai Chi should be learned from a live teacher. A Short introduction on How to Practice Tai Chi for Health (MSNBC - video: 2:19) Dr. Shin Lin of University of California Irvine discusses how to practice Tai Chi in this short (2:19) introductory video. Overview of Best Practices in Tai Chi. Dr. Yang Yang describes the benefits of Tai Chi, best practices, and the foundation of Qigong that is required for Tai Chi practice. Plateaus In Learning Taiji. When people begin learning something new, they often learn quickly. Their minds become engaged in the learning. However, when learning taiji, learning quickly is not necessarily better than learning slowly and deeply. Taiji has many subtle details that take time to learn. It takes time for it to get into your body and your mind. With each lesson, it is important to practice regularly until that lesson becomes part of you. Sinking the Qi. Sinking the qi is a common term in taiji, but many people find it very confusing. Sinking the qi simply refers to using your breath to help relax and calm the mind and body. A big part of sinking is developing "soong", or relax and loosen; and jing or mental quietness, in your practice. Is your practice focused on health, or martial art? This is both a common and a legitimate question. More. How to Relax in Tai Chi. A short video by Bruce Frantzis on relaxation, a fundamental concept of Tai Chi. 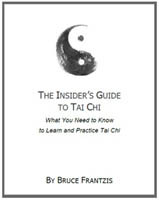 Bruce Frantzis: "In The Insider’s Guide to Tai Chi I hope to provide you a practical understanding of what tai chi is, what makes it work so well, and how to choose a style, teacher and practice regimen. I created this report and have given it away because I believe that it contains essential information that will be useful on your tai chi journey, whether you end up studying with me or another teacher." Tai Chi for Back Pain. In this short video on back pain, Bruce Frantzis explains how he used Tai Chi to help his own back recover. He offers several ideas on how Tai Chi can be used with anyone that has back pain. Tai Chi for Martial Arts. Tai Chi Master Bruce Frantzis discusses what it takes to learn Tai Chi as a martial art. Includes a short video.rney, whether you end up studying with me or another teacher." A brilliant introduction to the fundamentals of Tai Chi for beginners to expert practitioners. 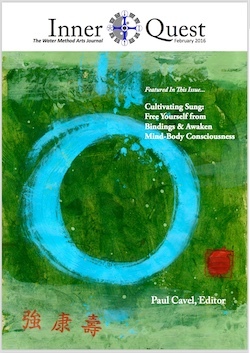 From the author Paul Cavel: “I have encountered too many practitioners who have put in immense effort, some over many years, in great earnest, yet their forms cannot really be considered internal. Maybe they trained a weak system, did not have a teacher who could perform or communicate internal techniques that are virtually invisible to the untrained eye, or they did not spend enough time on component practices. Whatever the case, this situation is incredibly unfortunate, and, with my book, my aim is to show you how to develop quality and depth in the fundamentals, which not only unlock health and power-generating benefits but also more advanced and extraordinary levels of practice”. The Chinese term sung is often translated as "relaxed", but this is a gross oversimplification of the actual state being described. A more accurate translation is "unbound", a state in which the body loses all unnecessary bindings, all resistances, all tension. Understanding the concept intellectually is a good start, but the aim of Water method arts is direct experience: that is to go beyond any mental construct and practice for the sake of embodiment. The ancient Chinese spent hundreds, even thousands of years tinkering with the internal arts to offer pragmatic steps for integrating fundamental principles in their flesh, qi-energy, and minds—in the totality of their being. 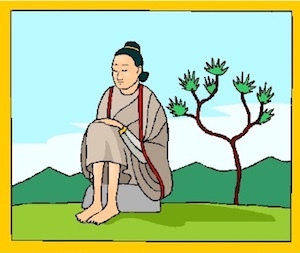 Without sung, strong circulation of blood and qi throughout the body cannot be achieved, so there can be no flow. Balanced qi flow is what brings into harmony the body and mind, making lasting, vibrant health a living reality. How to Cultivate and Integrate Yi, Qi and Jing. Dr. Paul Lam. Yi, Qi and Jing are the three most essential internal components in the practice of tai chi. Yi is the mind, Qi the vital life energy and Jing (not to be confused with Jing which is the internal force or strength and Jing which means serenity) the sexual energy. These components constitute the internal power of tai chi. Improving them will enhance your level of tai chi. More. Tai Chi Easy 5 Form with Dr. Roger Jahnke, founder of the Institute of Integral Qigong and Tai Chi and Tai Chi Easy™. Zhan Zhuang - The Hidden Essential of Tai Chi Training. The Art and practice of Tai Chi is built upon fundamenal principles of Qigong that can be learned through the practice of standing meditation, also referred to as Zhan Zhuan (“jan jong”), Wuji Qigong, or (sometimes) Primordial Qigong. There are thousands of different types of Qigong. 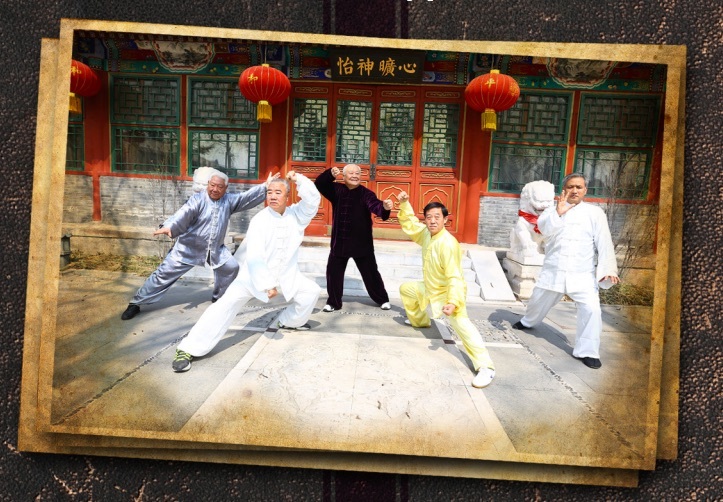 Arguably the most popular type of Qigong for martial arts is Zhan Zhuang. This is also known as “stake standing”. The practitioner stands motionless in a particular posture to develop internal strength. Zhan Zhuang is very easy to practice yet is said to be difficult to master. Standing Qigong practice develops integrated body/mind awareness and focus, called “soong” in Chinese. Some masters train only using this form of Qigong. As Author Mark Cohen explains, "Whether we practice Tai Chi for health or martial arts, the inclusion of Zhan Zhuang (Standing Meditation) at the beginning of our daily training session becomes essential if we are to gain many of the greatest benefits spoken of in the Tai Chi Classics and historical anecdotes. For health, Zhan Zhuang training initiates the body’s internal healing, strengthening, unification and enhanced Qi flow which is then amplified by proper Tai Chi practice. In this case Zhan Zhuang becomes the Yin to Tai Chi’s Yang. While Tai Chi is often thought of in terms of ‘stillness within movement,’ Zhan Zhuang may be considered as ‘movement within stillness.’ Simply put, they are a perfect compliment to one another. Chen style Tai Chi Grandmaster Chen Qingzhou demonstrating one of many possible Zhan Zhaung postures. "From time to time, we may hear people complain that practicing Tai Chi (Taiji) chuan makes their knees hurt. This is ironic since Tai Chi is supposed to help people with various health issues, including knee problems, to be better. Grandmaster Chen Zhenglei addressed this topic during a public speech in Toronto, Canada on June 18, 2017." Posted on July 18, 2017 by violet.li@tadi.com. Tai Chi Chuan as Physical Therapy for Knee Pain. The most obvious advice is….practice. No practice, no improvement. Simple as that. More. The Illustrated Canon of Chen Family Taijiquan is the seminal sourcebook of Taiji philosphy and techniques. It was intended by the author to be a resource for Taiji instructors and practitioners. View .pdf. If you are overwhelmed with the intricacies of tai chi then this topic is going to be refreshing for you. For the ultra-beginners, tai chi breathing is one area that you don’t need to focus too much on. Your job is to learn the movements of the form. Breathing will improve just from learning the form and practicing. Once you complete the form and have been practicing for a while, questions always arise as to how you should breathe, when you should breathe, if you should breathe… More. "Tai Chi Chuan movements, when done correctly, will act as a tool to help manually flush the body’s lymph system. This doesn’t just happen by chance. 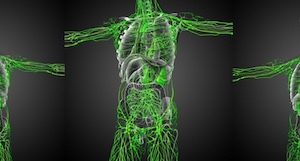 These movements were intelligently designed to work with the three largest cluster of lymph nodes in the human body: 1) the Armpit (Heart-1 Ji Quan), shoulder nest area axillary fold (Lung -1 Zhong Fu), 2) the Groin (kua, stomach-30 Qi Chong), and 3) the Back of the Knees (Bladder-40 Wei Zhong). 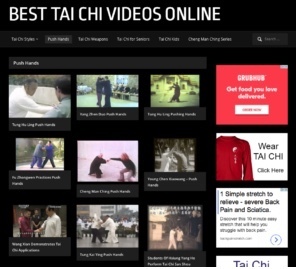 A video supplement link is available to purchasers of the acclaimed The Complete Idiot's Guide to T'ai Chi & QiGong Illustrated, Fourth Edition. The following video is one of the nearly 150 web-video support videos that are designed to augment the 300 illustrated instructions in Bill Douglas and Angela Wong Douglas's world acclaimed Tai Chi and Qigong instructional book. Without the CIG to T'ai Chi and Qigong (fourth edition) these video clips usage cannot be fully realized, but with your CIG to T'ai Chi and Qigong book these clips will profoundly expand on the book's world acclaimed text and illustrated instructions. Zhang Yuting performs a Chen Tai Chi competition form with other children at the Seventh China Jiaozuo Sports International Taijiquan Exchange Competition.